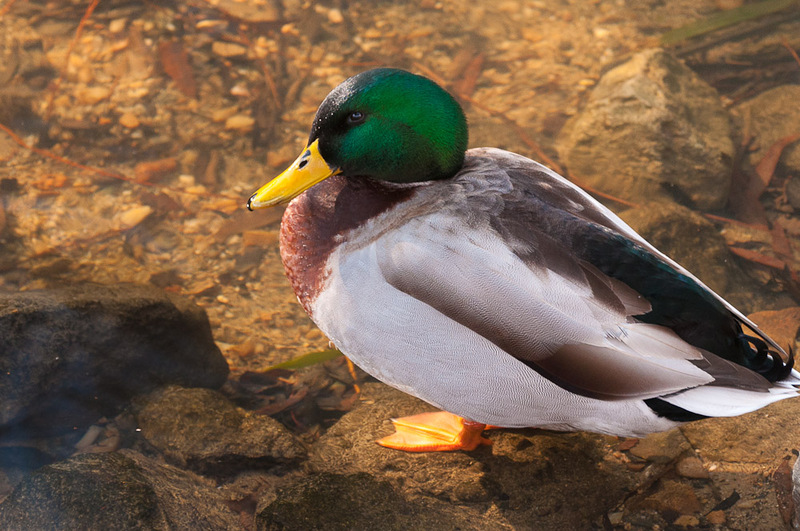 This mallard duck lives temporarily in Greensboro, North Carolina and is wintering over. However, with the warmer than normal weather we had last December and so far this month, I suspect the old bird is somewhat confused about exactly what season it really is. I love making photos of birds, and if all goes well I have a planned trip to Florida in March 2012 to capture lots of images of various shore birds on their migration northward. More on that later.